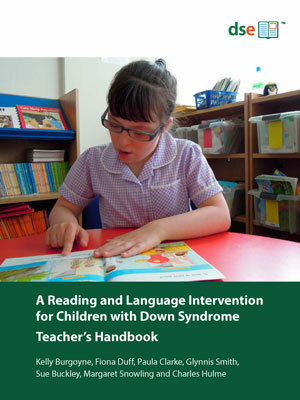 A Teacher's Handbook, including video training materials, example teaching materials and assessment tools, is available to support the use of the Reading and Language Intervention for Children with Down Syndrome (RLI). 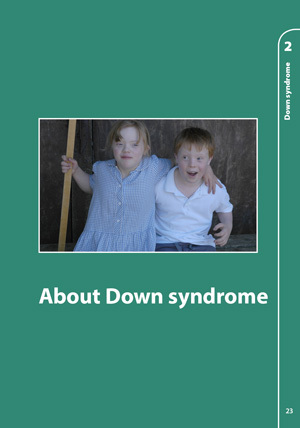 To support the use of RLI with children with Down syndrome, DSE is publishing a Teacher's Handbook. 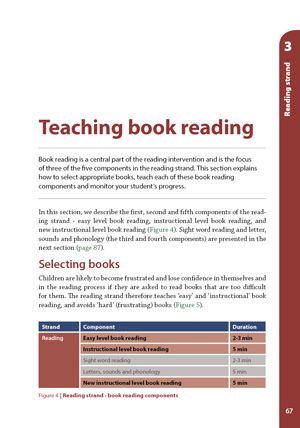 Together with two DVDs illustrating teaching techniques and a CD of resources, the handbook offers teachers and teaching assistants detailed guidance, assessment tools and example teaching materials. 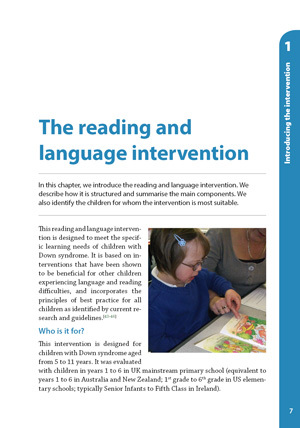 The handbook provides the information and guidance needed to implement the intervention. It also includes example language teaching session plans and materials, and resources and assessment tools. Additional teaching materials will also be required (e.g. early reading books) many of which will be readily available in most classrooms. The handbook is accompanied by two DVDs illustrating many of the teaching techniques and assessment procedures and a CD containing printable assessment forms and materials, record sheets, example teaching resources. The handbook is printed in full colour with clearly identified sections and wiro-bound for regular use and easy reference. The two DVDs and CD are supplied in a plastic storage case together with the handbook. The handbook is available direct from DSE via our online stores in the UK and in the US.